Open is a story of open adoption. It speaks to anyone who has adopted a child, has or wants to adopt a child, or who is contemplating giving a child up for adoption. Open brings an honest humanity to the people affected by open adoption, revealing the fragility and courage of the human spirit. Open will open your heart and mind to this ever-changing experience. More than anything, Open is a true story of two women whose voices will ring true, raw and triumphant, and whose love for one child will change their world forever. 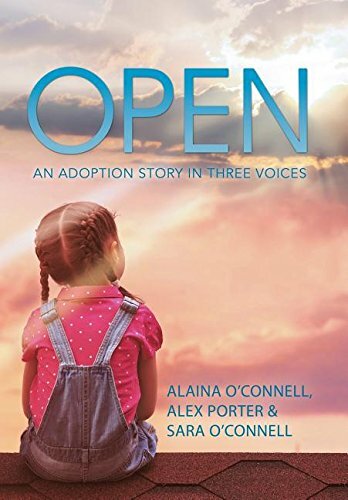 Ultimately, there is a third voice, the adopted child herself, speaking as an adult who reflects on her own journey and gives testimony to the power of open adoption.